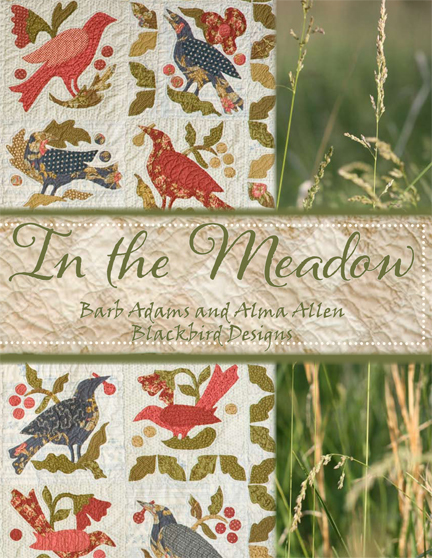 In the Meadow is at the printer and it should be ready for shipping by Monday of next week. Maybe sooner if all goes well. There are seven quilt patterns and a hooked rug in this book. Check out the May 31st. blog post to see some of the other quilts. 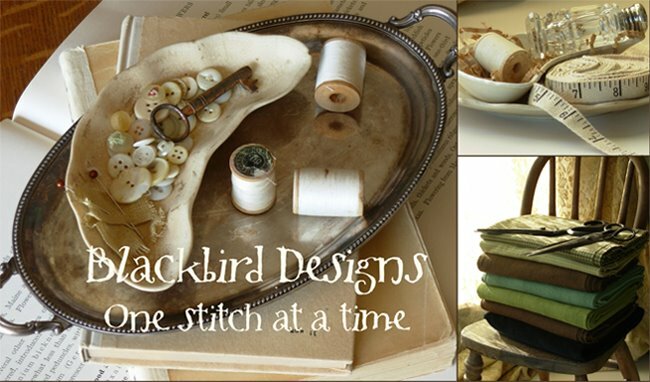 Barb and I are planning for fall quilt market and our next loose feather project. I'm getting the frames tonight and will be doing photography soon. Keep your fingers crossed for rain. It's hot and dry here! Oh I have to order this asap!!! I just ordered a little more Meadow. Look forward to seeing the new Loose Feathers, even though I am woefully behind on those. Always fun to get excited about a new one. Hot here, too. This will be the hottest weather of the year for us. We need rain, too, even though we were blessed with some yesterday. Vi nas fotos do mercado esses pássaros em uma parede e me apaixonei. Hot but not dry in Minnesota. Wish we could send some of our rain your direction. Can't wait to see the next Loose Feathers! 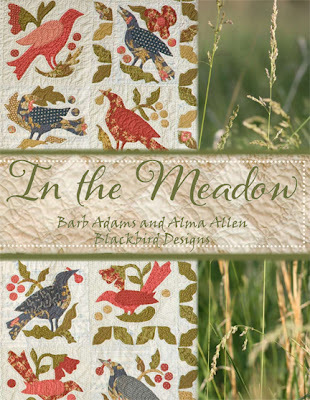 Your new book is on my list "to buy" soon....love the new bird quilt. Have seen it many times in different blogs sites that were at market. Tell you what...I will send you some rain, if you send me some sun!! We are still waiting for a sunny SPRING!! Love the cover of your new book!! Can't wait to get my hands on it! I saw the bird quilt in the market photos, love that quilt, definitely on my to buy list. Pretty birds!!!! I don't quilt but I still love adding your books to my collection :-). The book cover is very pretty. I hope you got your rain. All the best. Simply Charming, I think. Hubby loved it, I love it. This is the ideal post for someone who desires to be familiar with this subject. You certainly place a new turn on a topic that’s been on paper about for years. well basically im a travel agent and we offers Cheap hajj Packages . Fabulous material, your post is absolutely impact a read if somebody comes across it. I didn’t grasp that this subject was so vital. You undeniably place it in perception for me. Fantastic blog! I don't think I’ve seen all the angles of this subject the way you have pointed them out. You are a true star, a rock star mate, You have got so much to say and know so much about the subject. Please update it more often as I find it very professional and informative for your visitors. This topics is my interest. Thank you very much. well basically im a travel agent and we offers Cheap hajj Packages. I have bookmark this page and after work I read interesting things to update myself and to refresh my mind. Thank you so much for share the great information..!! Thank you for the good times in your blog. I am often in position to watch (again and again) these wonderful items you shared. Very interesting. All the best !